In February 2018, Abby Ringquist will represent Team USA at the Winter Olympics in PyeongChang, South Korea. We spoke to the 28 year-old Park City, UT native about how she’s getting ready for competition and the major challenges she’s faced along the way. 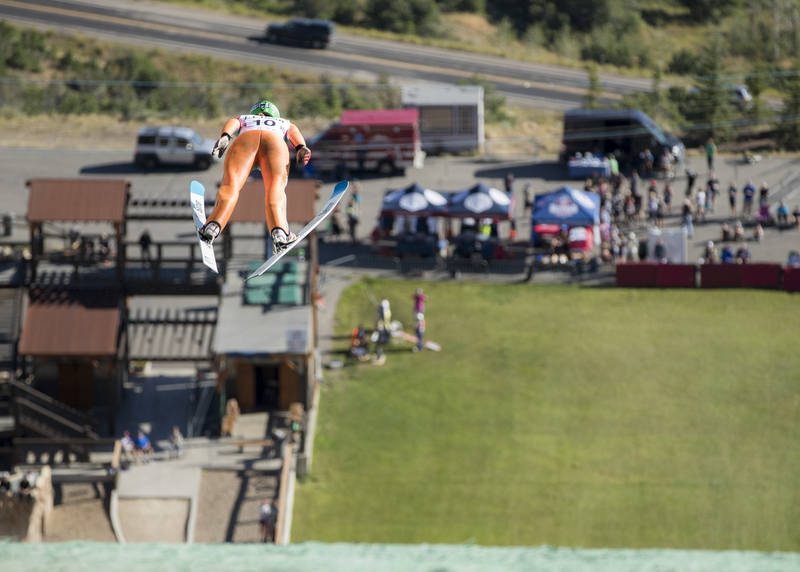 ROBERT IRVINE MAGAZINE: When did you start skiing competitively? ABBY RINGQUIST: My first international competition was in 2004 when I was 15 years old. RI: What age did you know this was your calling? What was that moment like? AR: I had my “Ah ha!” moment when I was about 11. I had my first pretty-far jump and it was a feeling like no other. I couldn’t wait to get back to the top of the hill and do it again. RI: Who has been your biggest supporter in your athletic career? AR: My parents for sure and my older brother; he started jumping and I wanted to be just like him, and that’s why I started. My brother has always been my role model and he has always been one of my biggest fans. RI: What are your top three exercises that you feel benefit your sport performance? AR: Deep core exercises, like single leg lowers or V-ups with a Swiss ball. Counter movement squat jumps and any hip exercises. RI: What is your favorite pre-competition meal? AR: I don’t really like to eat much before competing. In ski jumping you want to be lighter, so it doesn’t feel good to have a heavy meal. If I need something, I’ll usually grab a yogurt with fruit/granola/flax seeds/maca powder. But I love meat and need protein in the morning. I love eggs on toast with jam, juice, fruit and Bulletproof Coffee (black with about a tablespoon of butter) It helps keep me going throughout the day. RI: What obstacles have you encountered along the way? AR: Tons of obstacles. Where to begin? Women’s ski jumping wasn’t included into the Olympics until 2014 after a decade of lawsuits and persistent battles with the International Ski Federation (FIS) and the International Olympic Committee (IOC). We are still working towards a higher level of equality in our sport. Women only have one event in the Olympics whereas the men have three, as well as World Cup prize money. Women make one third of what the men’s world cup receives and we only have one third the number of events as them per winter. Funding is another major issue. 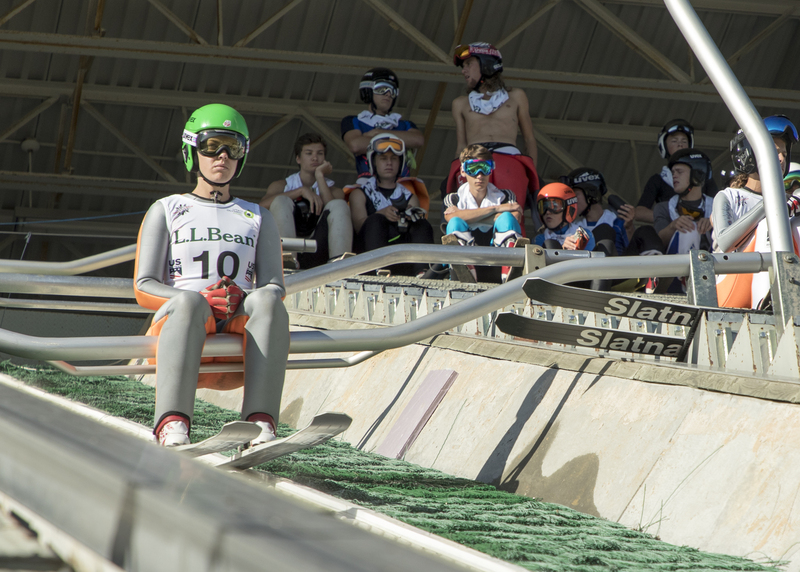 Ski jumping isn’t a popular sport in our country, which means funding and sponsorships are hard to come by. I’ve had to fundraise and pay my way to compete for the last four years. Working three jobs while trying to train for the Olympics is pretty exhausting. Luckily I was introduced to the founder of 1,000 Dreams Fund this summer and they are helping with some of the financial stress this year while I pursue my Olympic dream. Motivation to train is also an obstacle that I’ve dealt with. After hearing “No” for so long—for the inclusion of our sport and for funding, it can really get inside your head and you second-guess what you are doing with your life. It’s hard to not give up because sometimes I thought I wanted to. Once I started working with Dr. Jim Stray-Gundersen and his wife Hollie and their blood flow restrictive band training system called B Strong, it was almost like a new gear was discovered in me and they have really given me the tool to get to my optimal potential physically. I had a big love/hate relationship with food and it is also a huge obstacle when dealing with a weight sport. I dealt with an eating disorder for five years and was able to beat it and heal by learning to love food and understand what and how different food groups fuel my body. I learned how to get rid of the voice in my head that told me I was fat and ugly, and I learned to listen to my body and give it what it needs. Now I eat what I want, when I want. I don’t think I’ve ever loved myself more than I have this past year. RI: Sports, particularly solo pursuits, are so mental. What are some of the ways you keep your mind in the game? AR: I have a routine before every jump, and I’m pretty sure I do it on autopilot now. But if I focus on my technique too much, I usually don’t perform the way I want to. So for me, focusing on my breathing and keeping it simple is huge when I’m warming up and getting ready. Also, if I find myself in a downward spiral mentally or I’m frustrated, I remind myself that I do this sport because it’s so much fun and I that love everything about it. I’ll take a moment to look around and see all of the other athletes, many whom are some of my best friends, girls who all love the same thing that I love. Taking a moment to appreciate all of the great things this sport has brought to my life. RI: Outside of skiing what are your hobbies or interests? AR: I am currently in the process of an art major through Westminster College in Salt Lake City. I’m hoping that when I’m finished with jumping, I’ll become a preschool teacher and I’ll make a coloring/story book for kids. I love drawing, painting, crafting, anything of the sort. I also have a mini ranch with three dogs, two dwarf goats and ninechickens that I love to spend time with. And I love backcountry skiing with my husband and dogs. RI: How did you come to partner with the 1,000 Dreams Fund? AR: This summer I was fortunate enough to be introduced to 1,000 Dreams Fund through another client of Dr. Jim and Hollie’s where I do my B Strong physical training. I chatted with Christie Garton, the founder, and miraculously my story stood out to her and her team. I am so extremely grateful that our paths crossed. RI: Has funding been an issue for you in your sports’ career? How so? AR: I think there is always a lack of funding when it specifically comes to women’s athletics. For me, it’s been stressful to not know how I’m going to be able to get to the next competition and it actually is a major reason why I missed making the team for 2014. We didn’t have enough funding to get to some qualifying competitions in Russia and because of that I missed crucial events and my spot slid and I missed the qualification by one spot. RI: What advice do you have for younger athletes dealing with funding issues? AR: If there is a will, there is a way. Everything always works out in one way or another. If you believe in yourself, there’s a good chance others do too, and they’ll want to help you. Online fundraising platforms are great and can be spread all over the world. Apply for grants, and see if 1,000 Dreams Fund can help you too! RI: What’s the best advice you can give another athlete who is trying to make it on a professional level? AR: Never give up on yourself. Love yourself and respect yourself. RI: What has been your biggest accomplishment in your athletic career? AR: There is no one defining moment in my career, it’s the accumulative moments that have happened of the past 21 years that are leading me to my dream of hopefully representing my country in the Olympics and the fact that I can be a role model to young girls. RI: What’s your favorite motivational quote? AR: No rain, no rainbows. SJ McShane is a fitness author, trainer, and nutritionist. Follow her on TWITTER and FACEBOOK and visit her WEBSITE. Christie Garton is the founder of the 1,000 Dreams Fund, a non-profit organization that aims to empower young women through scholarships and advice to achieve their career goals and dreams. Learn more HERE. Robert Irvine Magazine: Why did you choose Abby Ringquist as your first athlete partner for the 1,000 Dreams Fund? Christie Garton: I happened to meet Abby while visiting one of our board of directors in Park City, Utah, this summer and was instantly struck by her story. 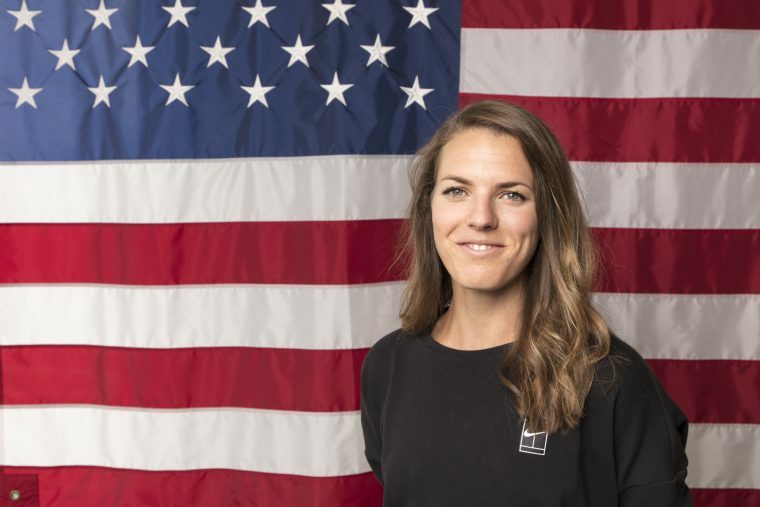 Here is this elite athlete with this huge goal of competing in the Olympics – and she is already qualified. However, she still has to fund her journey and all the associated travel expenses to remain qualified at over $30,000. So she works three jobs on top of being a college student because she needs to also worry about life post ski jumping. To me, Abby’s story represents all 1,000 Dreams Fund girls’ stories – young women working hard towards a dream with huge obstacles and limited funds. I knew she would be an inspiration to these young women. Abby’s story also spotlights the sad fact that female athletes remain under-funded as opposed to the men, as they still are in many professional fields. Bottom line: Abby’s passion and commitment to her dream made her the perfect athlete for 1DF to not only help raise awareness for the importance of women’s sports but also someone we could work to help financially support, too. It is the perfect synergy.